Thanks to Mr. Peter of Cafe Peter Donuts, Baner has been blessed with Cabaret - a luxurious and comfortable lounge. The ambience was totally chill and sorted with classic cabaret sofas, high iron chairs and tables, its a perfect place for that fine date or a great rendezvous with friends. Split into cafe area, bar area and restaurant-lounge, Cabaret has something to offer to everyone. Just like any Cafe Peter Donuts, the ambience has a lot of red and black colours used, however, the lights, the seating and the service are what differs this place from its cafe sisters. Cabaret also has some professional level online dart game which is, I am sure, the interesting thing for a lot of people. I can surely see my friends having a good time here. Food: After ages, I was ready to try out a different cuisine and it worth it. A mix of Korean cuisine and Indian cuisine makes this spot a happy place for almost everyone. My favourite was their Kimchi Biryani. Kimchi is a Korean spicy salad tossed with some yum biryani. No, it isn't blasphemous. It is worth trying, over and over again. The mini burgers, which are steamed buns, Kimchi salad with paneer or chicken bulgogi were divine. In desserts, I tried their Ice Cream cake which was worthy of an award, with probably a speech as well to really tell others of how great it really is. 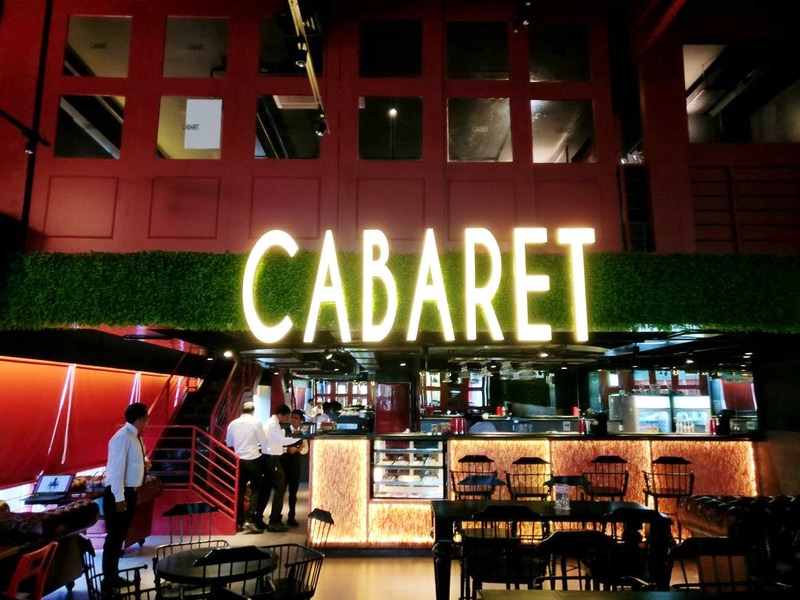 Cabaret is my new found love in Baner and I am sure this relationship of mine will last for a really long time. No breakups coming our way, for sure! The lighting in the lounge area needs some improvements. Go dressed with an intention to get some amazing shots for Instagram and Facebook, while you enjoy the delicious meal and everything in-between. Cabaret also provides valet parking, so yay!